Visit T.G.I Fridays and share that Fridays feeling with friends and family. T.G.I. 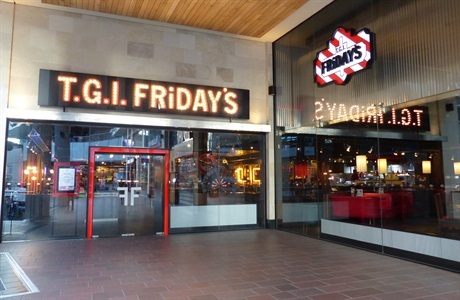 Fridays offers tasty American favourites – Prime choice burgers, fall-off-the-bone tender ribs, and Jack Daniel’s chicken, a great kids menu and over 500 delicious cocktails. Their legendary service and modern atmosphere make T.G.I. Fridays the ultimate feel good destination.